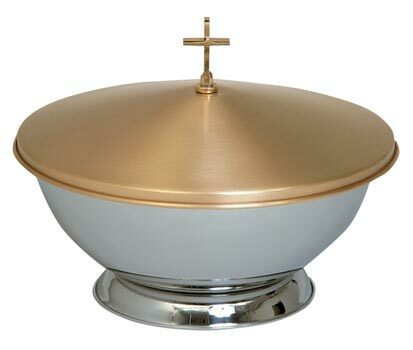 Portable Baptismal Font with 16" stainless steel bowl and satin bronze cover. The font has a 13" overall height. Sold as a set, the pieces are also available separately.